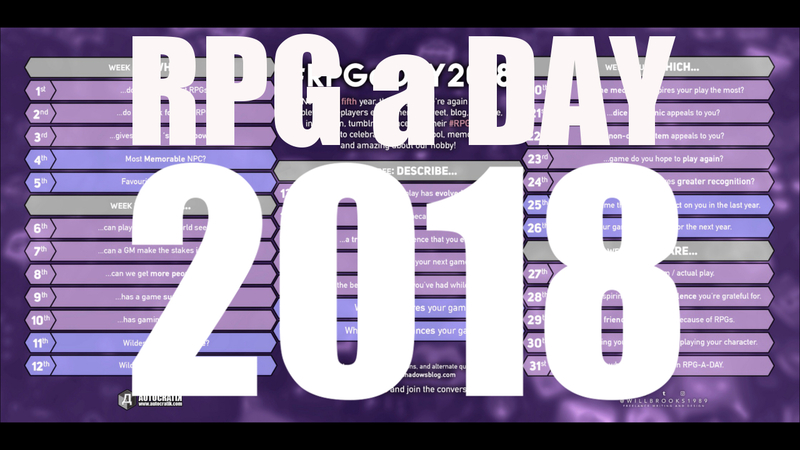 Day twenty-five of #RPGaDAY2018 launches a weekend of "12-month" questions. Starting with "Game that had an impact on you in the last 12 months". I'm afraid it's a bit of a short and sweet answer for that one, as the game we've played the most in the last 12 months is Tales from the Loop, and one that has really left an impact. The game system is so bloomin' simple. Character creation takes minutes, the game is designed to avoid combat, while giving you a real sense of danger as the kids struggle to face rogue robots, dinosaurs from the past, mind controlled teachers, and more. Great fun, and a real eye opener to how simple a game system can be and actually work really well.